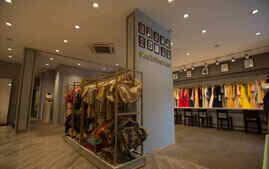 KalkiFashion is a brand in India in a big way. But this name has a different aspect too, other than being known as a fashion clothing brand for women. Here in India, we worship “Kalki” as an avatar of Lord Vishnu and righteously this name has brought in good fortunes and bestowed upon us, prosperity that we always yearn. 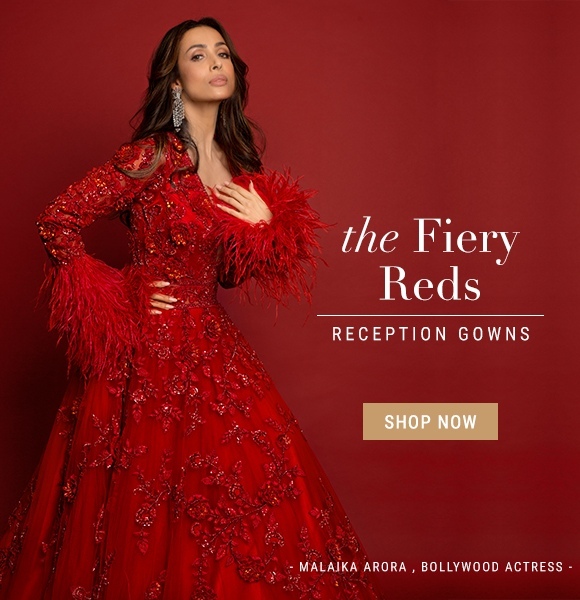 Celebrities, business tycoons, tinsel town divas, models are now the trusted customers of ‘Kalki’ as they get to shop for their choicest of attires and Indian outfits in the most elegant and glamorous styles. 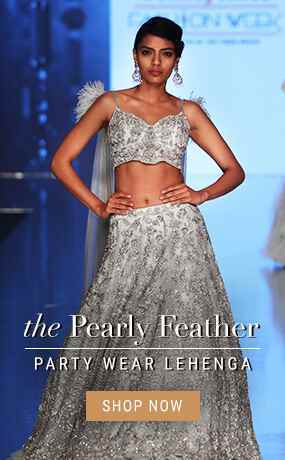 You ask for a bridal wear, wedding collection or a whole new range of Indian wedding dresses, we are with it, anytime of the year. 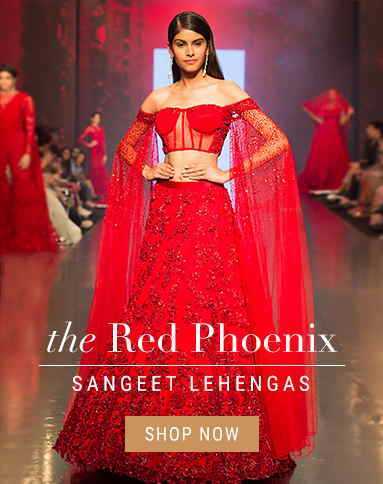 Weddings are the best time to shop for your choicest of ethnic Indian wear and it is a wedding gown, a bridal saree or a bridal lehenga that could well make a difference to your style, looks, beauty and appeal on that special day. Beautifully embroidered sarees in Zari and Zardosi work, bridal lehengas, embroidered kurtis, brocaded cholis are probably the best attires during a wedding and this wedding season in India, Kalki could well be your style and fashion statement. 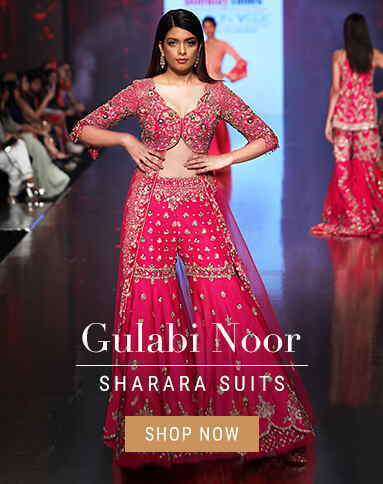 Girls always look splendid in ethnic Indian outfit and traditional Indian wear that is designed to perfection by keeping in mind the intricate detailing, weaving patterns, colors, sequin work and overall craftsmanship that reflects aura, class, elegance and grandeur which is of the highest nature. 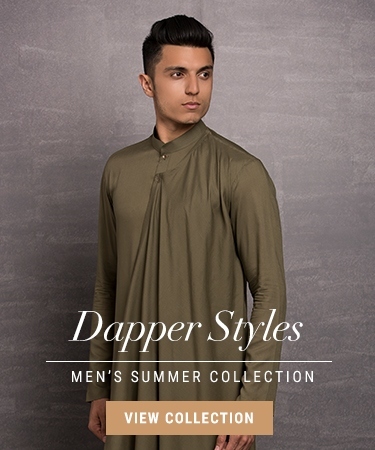 Today’s Indian clothing are a hallmark of perfection that is only available in few select Indian clothing stores in Mumbai, New Delhi, Bangalore, Kolkata and Jaipur that only sells women’s fashion clothing, women’s ethnic wear and women’s fashion accessories that are truly admirable on every count. The fashion taste of individual differs and India being a culturally rich and religiously diverse nation, it is tough to satisfy the fashion needs of women who belong to different ethnicities, all under one roof. 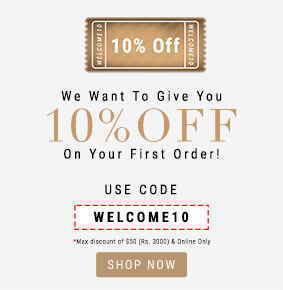 But we at KalkiFashion, try our best to bring for you a classic collection of designer sarees, lehengas, kurtis and salwar kameez that are designed and produced by some of the best craftsmen and weavers in India who work for us and with us, for years. 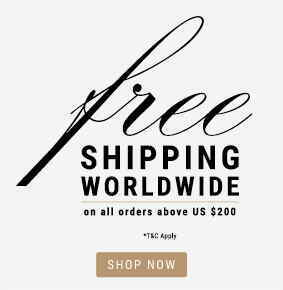 Therefore, it is always advised to buy Indian dresses online from a store like Kalki Fashion India who has years of experience in designing and crafting fashion clothing for women that is trendy, classic and sublime. Indian saree is one traditional outfit that beautifully adorns every Indian woman and for practically every single occasion. A saree looks perfect on an adolescent girl or for that matter a middle-aged woman who wish to look gorgeous and beautiful, and we at ‘Kalki’ have perfectly understood the fashion taste of Indian woman and brought for you a classic collection of bridal sarees, printed sarees in silk, embroidered sarees and much more. 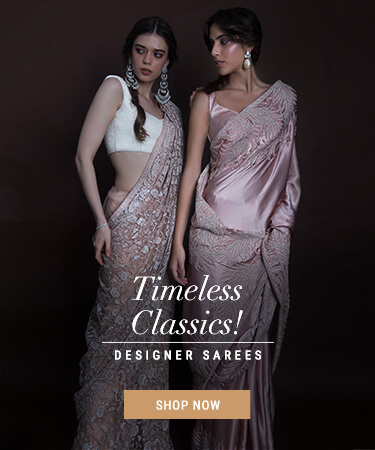 So, if you are thinking to buy sarees online in India, just place your orders with us by viewing the exclusive range of designer sarees that we have exclusively brought for you. A ‘Kurti’ is another important Indian women’s attire that is probably in the wardrobe of every single Indian girl or woman who loves to look young, pretty and charming in flamboyant colors and gorgeous style with a bit of sensual touch. KalkiFashion provides you the opportunity to buy kurtis online from a range of beautiful designs and style that is ‘eye-catching’ and can be worn for every occasion, be it a party, wedding or a festival. 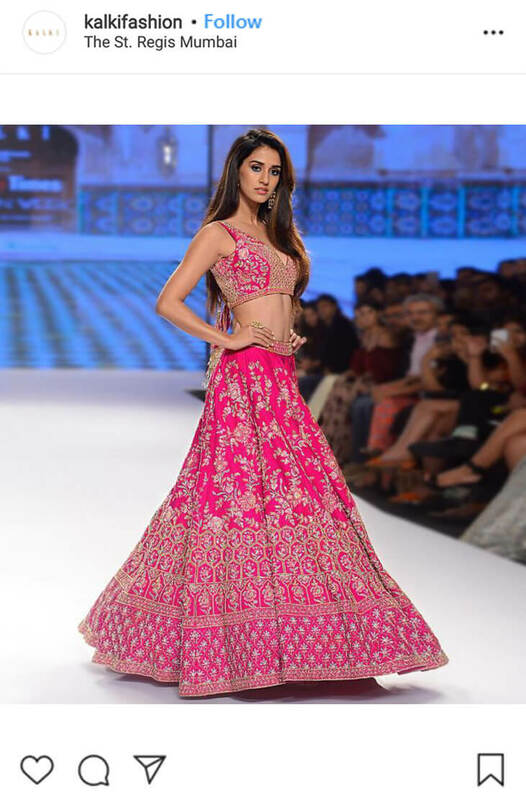 A ‘Lehenga’ is another Indian dress that has an ethnic touch from the very word ‘go’ and beautiful styles, rich colors, intricate weaving patterns, Zari and Zardosi work are some of the specialties of a beautiful Indian lehenga design that catches the attention of all. There is a huge craze for our designer style bridal lehengas in India that are ornately designed to give it a royal and grand look. 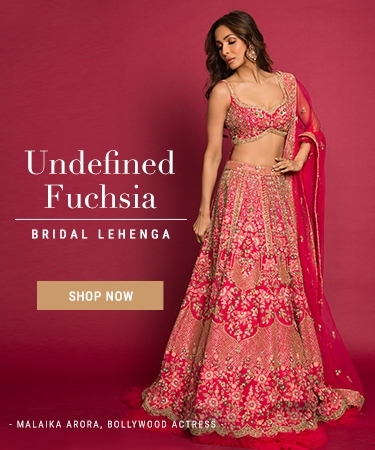 A wedding lehenga is beautiful piece of art in fabric that is characterized by intricate design patterns, Zari work, brocade work and knitting that eventually gives once such attire that royal and traditional look for that special day in the life of a girl or for that matter a bridesmaid. This is called the “bread and butter’ wear for every Indian girl or woman, no matter which part of India she belongs to. Though the humble salwar kameez is much more prevalent in the North and West of India, a majority of girls in Eastern and Southern part of India do wear this ethnic Indian wear as a casual dressing or as party clothing. 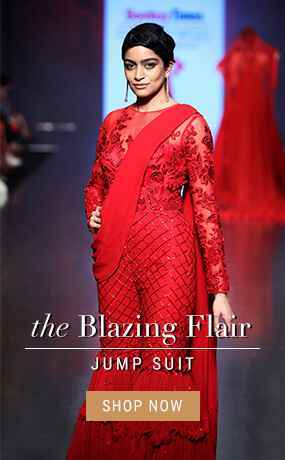 The salwar kameez is a traditional Indian outfit which has now transformed a bit over the years and taken a couple of forms such as the ‘Patiala suit’ and the ‘Anarkali dress’ that is in huge demand among the Indian girls, especially among the school and college going girls. At Kalki Fashion store, we bring for you a whole new range of women’s Indian clothing online that is authentic in style and pristine in quality. At Kalki store, Mumbai; we proudly bring for you an exclusive collection of wedding gowns, Indo Western gowns, party gowns that are all beautifully handmade in rich colors and in intricate weaving patterns. You can get them in 100% pure cotton fabric and in silk, the choice is yours. 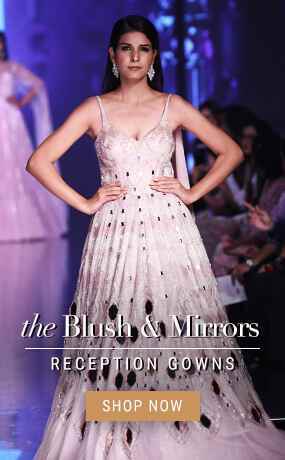 You would be amazed to see the variety, style and designs that is reflected in our exclusive party and bridal gowns. Think about traditional Indian fashion clothing for women and we are here with our impressive range of ethnic Indian outfits for women that are sure to impress all. Kalki Fashion has a long relationship with quality, style and craftsmanship that is beyond comparison as few other fashion brands in India can compete with our outstanding Indian dress design for women that we hand make to perfection. Our attention to detailing, fine craftsmanship and quality materials are our forte and this has been the driving force behind our growth, fame and success for years. Here at Kalki, we build trust with our customers and that is quite evident in our products that we design for our esteemed clientele who not only spans the length and breadth of India but across shores, in the US, UK, Middle East and in Australia. This is what Kalki Fashion is all about as the name itself is a trust that has won the hearts of millions of fashion lovers in India and across the word, especially in the US where we have a large number of NRI customers who have developed a trust and faith with our clothing brand. 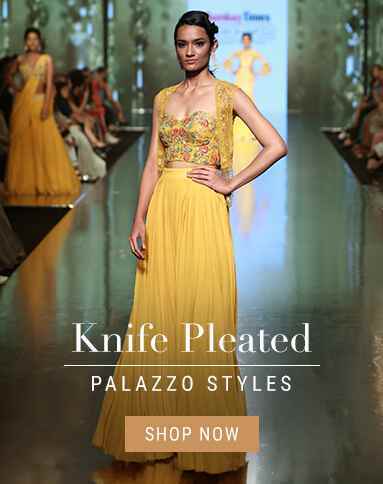 Here in India, some top-notch Bollywood and fashion celebrities can be seen in Kalki Outfits, Indian outfits and Indian dresses for women at several occasions and during our exclusive fashion store launch events in Mumbai. 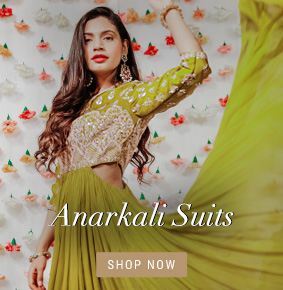 There can be no second thoughts when it comes to shopping for Indian wedding dresses, bridal wears, party wear and festive clothing as ‘Kalki’ is the name that comes to the mind of all fashion conscious women who love to dress up in style and to their liking. 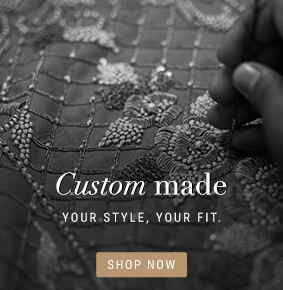 We are here to provide you with exactly what you're looking for in terms of ‘Friday Dressing’ in an ethnic style or for that matter traditional Indian bridal wear or festive wear that has the hallmark of creativity and class in each of our ethnic attires. 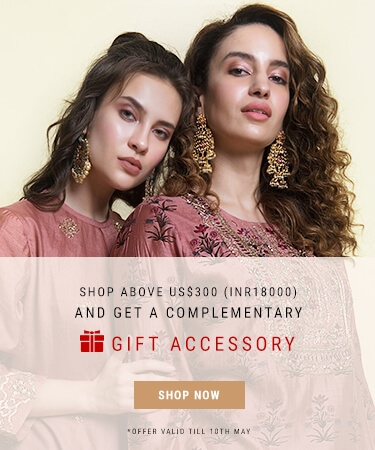 So, the next time you think to buy Indian clothes online, it has to be Kalki Fashion as this brand has gained lots of admirers and fashion lovers in India who possess a rich taste for style and trends in the area of ethnic Indian wear for women.